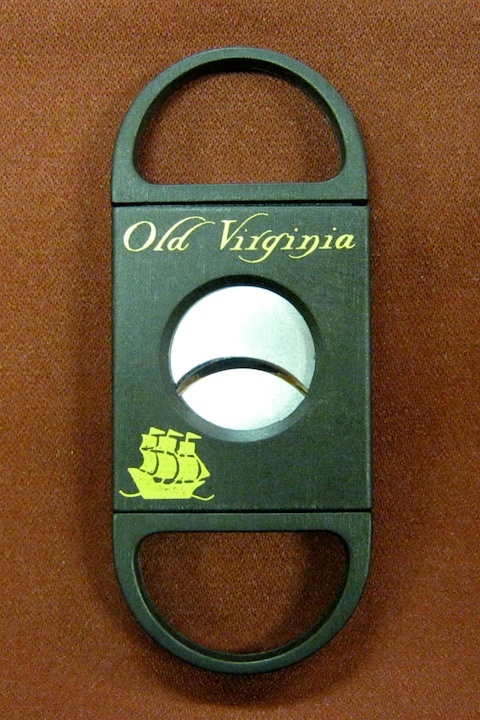 Our own German Soligen steel two finger cigar cutter will cleanly cut all cigars up to and including a 52 ring gauge. 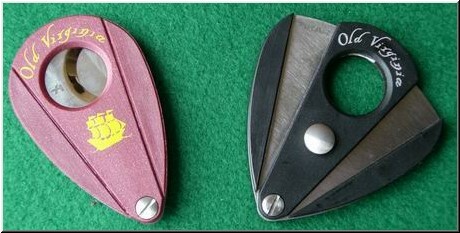 A long lived cigar cutter that is easy and comfortable to use. 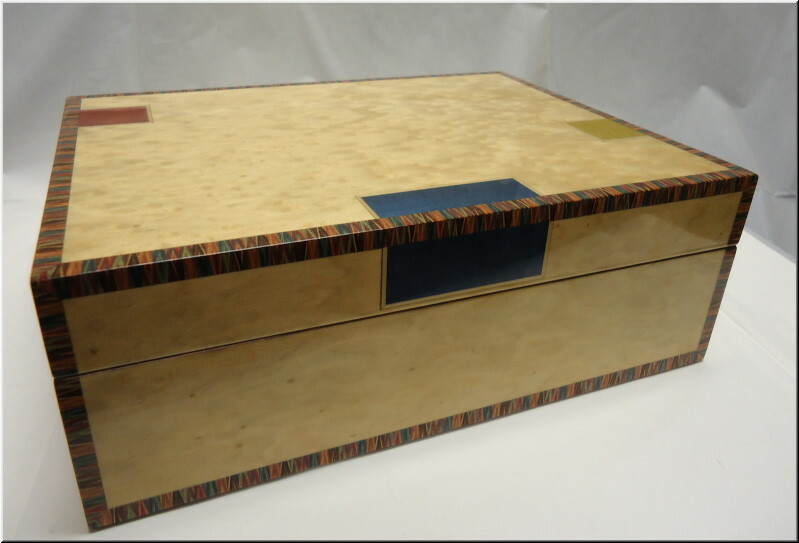 This is a reproduction of the venerable desk size humidor which served cigar lovers well for so many years. Some of you 'oldtimers' may even still have one in service. Our version stays true to the original design in both size and quality construction. 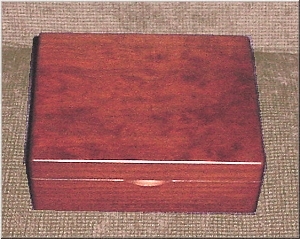 This cherry wood desktop humidor has inside dimensions of 8'' x 6'' x 2''. So, it will hold almost a box of corona sized cigars. True, it's not as big as your 'trunk size' humidor, but it was not designed to be. 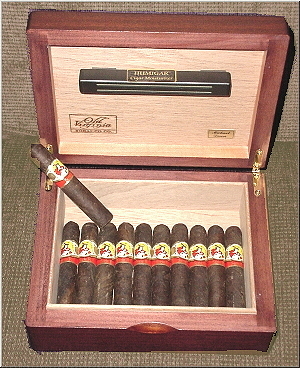 It is meant to be the handy humidor for your desk at home or work. Pretty handy in the shop or garage, too! 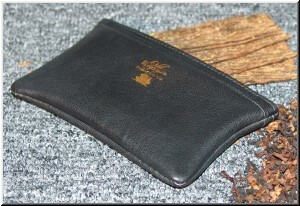 It will allow the real cigar lover to keep a little of 'this and that' close at hand. 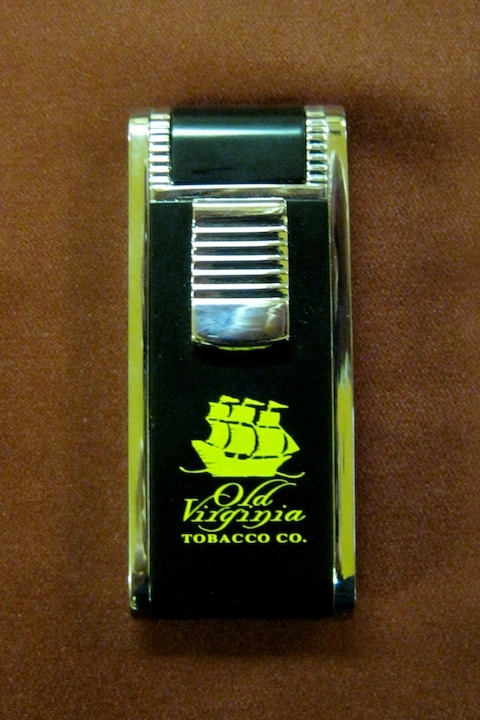 It features the HumigarTM cigar moistener and the OVTC Easy Open Lid (you can open it with one finger!). Polished brass hinges and felt surface protectors finish off this remarkable humidor. 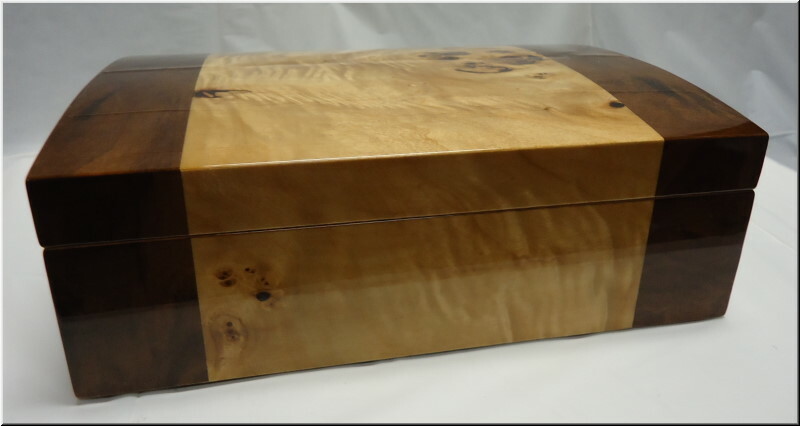 We are most proud of the fact that this humidor is made with pride in the USA. Also includes complete instructions on how to 'season' your humidor properly. 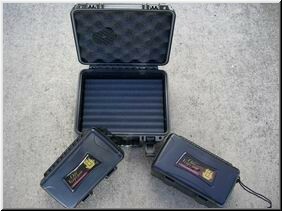 It will keep your cigars safe and sound AND well humidified. A dark brown finish decorated with burlap trim. Holds up to 90 cigars. Includes one divider, humidifier and hygrometer. This slightly dome-topped humidor holds up to 25 cigars. 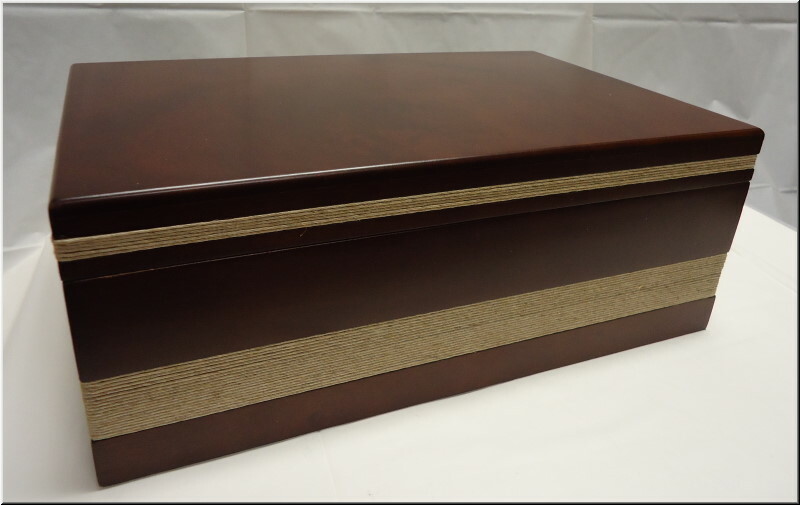 Features include Spanish cedar lining, humidification and hygrometer. 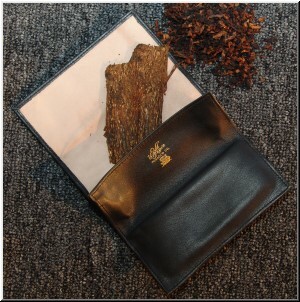 A light burl veneer with edge trim which can hold up to 25 cigars. Includes humidification device and Spanish cedar lining. 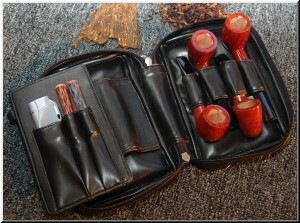 When you need to carry more than a couple sticks the XI travel cases are the way to go. They all feature foam inserts and a rubber o-ring for the most effective airtight seal. Available in three different sizes: 5, 10, and 15 count boxes. Proudly made in the USA. Finally an inexpensive refillable lighter that is reliable as well. 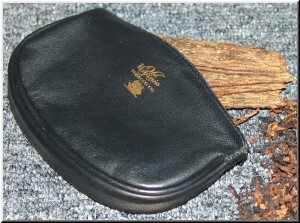 This lighter features a wind resistant twin flame and fold out cigar punch on the side. 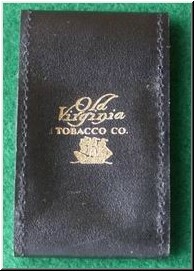 Old Virginia Tobacco Company presents our own line of leather accessories created exclusively for pipe smokers. 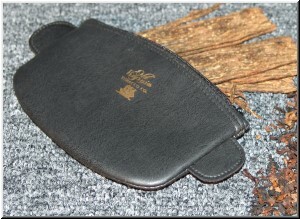 Being pipe lovers ourselves, the lack of decent pouches prompted us to design these top-grain, all leather pouches. 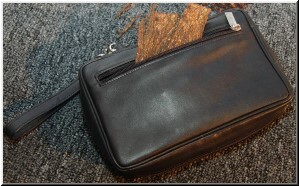 So soft and pliable, these pouches 'break-in' fast for comfortable carrying. 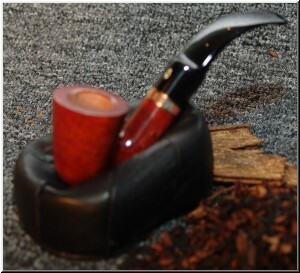 We have featured sizes quite familiar and convenient for any pipe smoker. 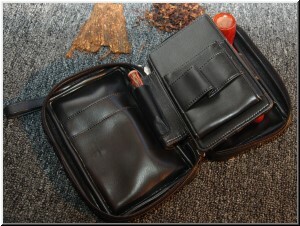 These flexible, all black pouches are popularly priced and ready to help you transport your tobacco in style and safety. 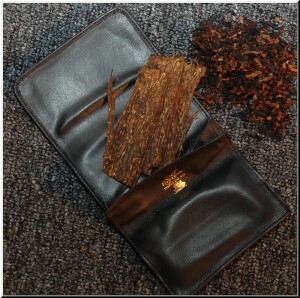 Unrolled dimensions 9" x 4¾"
A ready rubbed Cavendish blend. 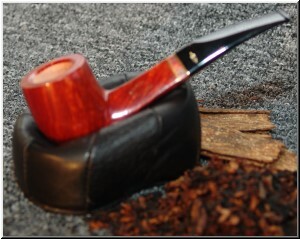 Quality flue cured Virginias and a little light Burley. This straight Cavendish cut has an absolute cool, mild and flavorful blend. What a concept! Blended whiskey and blended tobaccos. 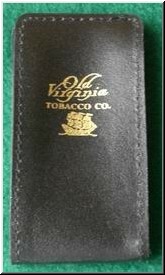 This Virginia Cavendish blend also uses a little light Burley, but we added some whiskey to enhance the taste and aroma. Very smooth and satisfying.